Healthcare is a hot topic in Lake County. As hospitals attempt to keep pace with growing populations, while properly serving those markets, one local company is on a mission to help healthcare providers. G3 Development assists hospitals and physicians in expanding and improving their facilities by applying a strategy that is usually reserved for large retailers. 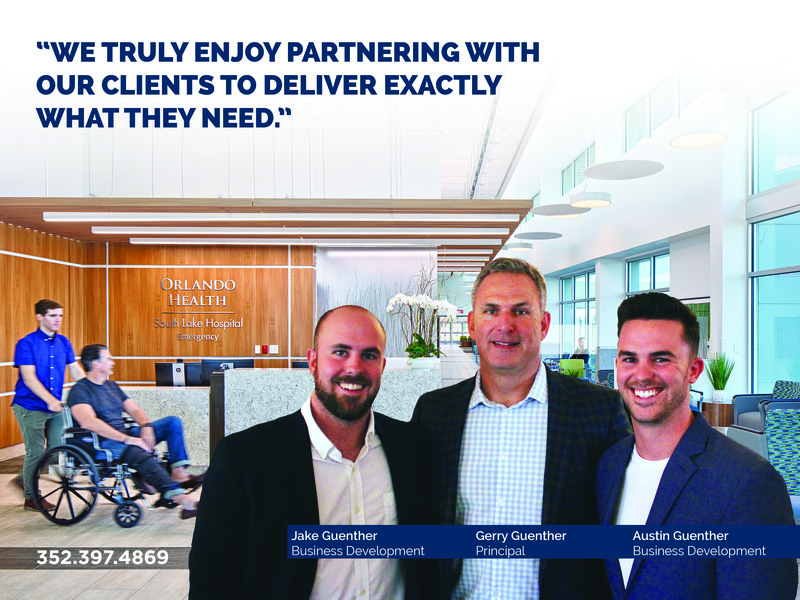 The team at G3 Development is finding innovative ways to help hospitals fill the gaps in healthcare access across Lake County. 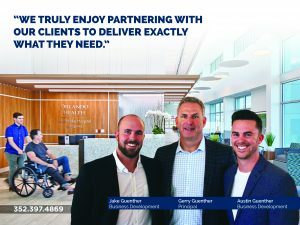 We sat down with Gerry Guenther, Principal at G3 Development, to learn about their unique approach to healthcare development. How did you get into healthcare development and why? We saw an opportunity to bring our expertise to the table in a really unique way. Our background is in retail development. After years of helping retail locations identify gaps in various markets and then effectively filling those gaps, we thought, why can’t we apply this same mentality to healthcare? Hospitals and healthcare providers are always looking to expand their reach into the community in order to provide the best care within their markets. Expansion plans are often either out of reach for financial reasons, or aren’t strategically implemented. That’s where we come in. We help identify the gaps and then build project proposals around those areas of weakness. We ask, what does this particular area need? What are they missing? Once we identify the need, we bring the project proposals to the healthcare providers already serving the area and work with them to implement the projects. From the land purchase to permitting all the way to design, building, and even leasing the facilities, we are part of the process. We often handle the financing as well, assuming the majority of the risk and allowing the hospitals and doctors to focus on providing high-quality healthcare. Why is it important to approach healthcare projects this way? We see it as a partnership. A lot of times, it is inefficient for a doctor or hospital to attempt a project on their own. We bring in expertise, research, planning, design, and financing so that we can create the facilities the community needs while allowing the healthcare providers to do what they do best. Basically, our goal is to minimize risk and maximize impact for healthcare professionals. We identify areas where people could be better served and through our partnership, we help the hospital expand faster with less financial risk than through traditional means. Tell us a little more about G3 Development. We are a family business. Our goal is to help our clients grow their businesses, be that in healthcare, retail, or professional organizations, by providing unique, customized solutions. Our flexibility sets us apart. We want to find the solution that works for our clients. We have commercial property development projects across all of Lake County and we truly enjoy partnering with our clients to deliver exactly what they need. It’s apparent that G3’s strategy is effective. Within the last five years they helped open two new facilities for South Lake Hospital utilizing this approach and are just beginning their third. The first project, SkyTop View Rehabilitation Center, is a 28,000+ square foot skilled nursing and rehabilitation center that focuses on short-term orthopedic rehab. G3 financed the building and leases it to South Lake Hospital, who manages the facility. The second project completed this year was the Orlando Health South Lake Hospital Emergency Room and Medical Pavilion – Blue Cedar in Clermont. 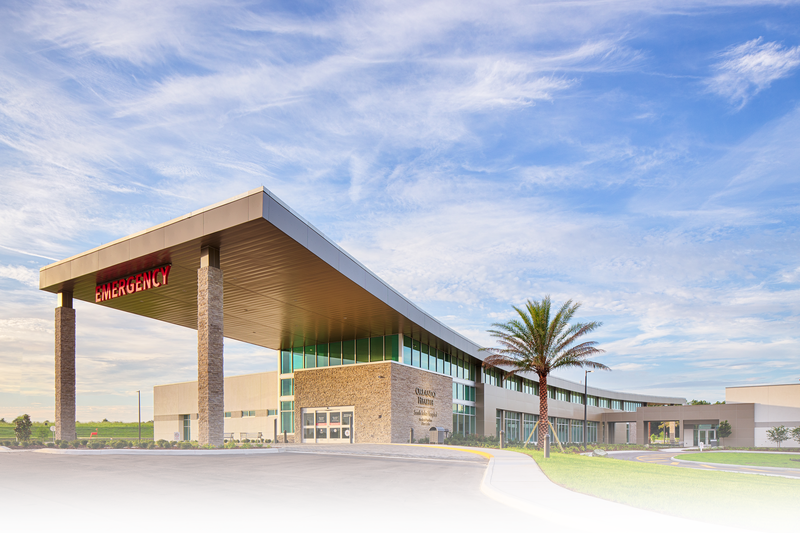 This stand-alone Emergency Room is a 40,000 square foot facility that sits on 20 acres. G3 worked with a consultant to identify a gap in the market, discovering a need for emergency care in the area. After bringing the idea to the hospital executive team, G3 was a part of the project execution, from the land purchase to permitting, design and building. The partnership allowed South Lake Hospital to focus on opening a second free-standing ER, doubling the reach of the original project. G3 has also begun work on an outpatient surgery center on the current campus, which is planned for late 2019. This will be their third major project with South Lake Hospital. The G3 team is always looking to help businesses grow. Contact Gerry Guenther at (352) 397-4869 to get your next project off the ground.